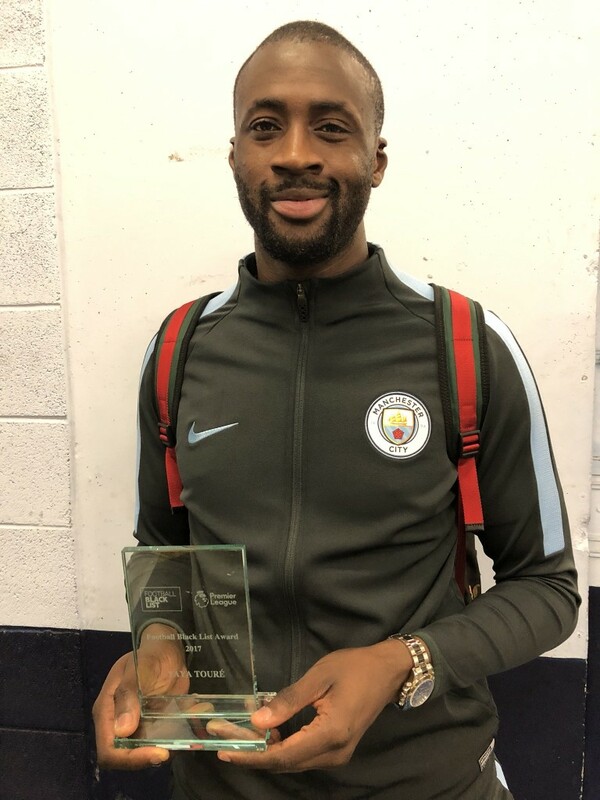 Yaya has received a fourth Football Black List Award for his charitable donation following the Manchester terrorist attack earlier this year, as well as his ongoing anti-racism campaigning and work with the UN Environment. The Football Black list, supported by the Premier League, FA, PFA and other bodies including Kick It Out and FARE, celebrates the efforts of the black community across the breadth of the industry and features categories such as Administration, Community & Grassroots and players’ Off-the-Pitch endeavours. Yaya has always been a keen campaigner on environment protection and has often expressed his concerns about the treatment of Elephants in the wild. In October 2013, Yaya was moved to sign up to support the United Nations Environment Programme (UNEP) as a Goodwill Ambassador, leading on an environmental campaign aimed at protecting the nation’s most iconic wildlife. For many years Yaya has shown his support for the #FootballPeople action weeks and the thousands across Europe, and beyond, that unite to tackle discrimination in football and promote social inclusion during the period.